This is a die-cut Cletrac Crawler Tractors porcelain sign. 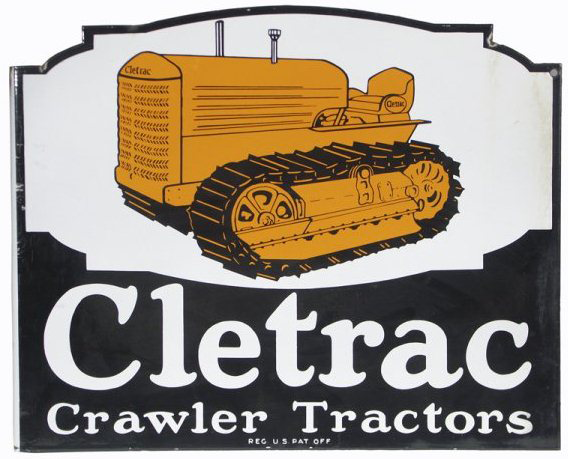 This particular Cletrac Crawler Tractors sign is blue and white with a yellow tractor at the top. It reads, “Cletrac Crawler Tractors, Reg. U.S. Pat Off”.